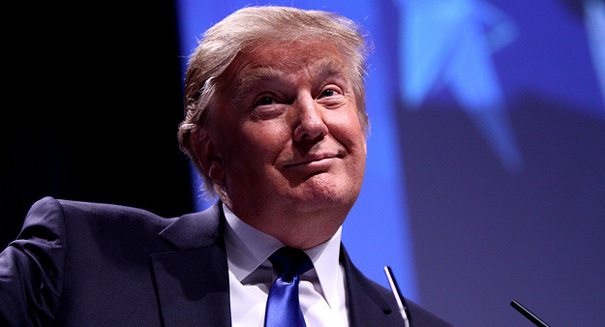 Republican presidential nominee Donald Trump isn't getting support from one surprising corner. Donald Trump has certainly had an unorthodox political campaign up to this point, so it’s perhaps best to expect the unexpected. And here’s one new unexpected fact: not a single one of the CEOs who run the 100 largest companies in America have donated to his campaign through August, compared to 2012 when a third of Fortune 100 CEOs contribute to Mitt Romney’s campaign. In the Republican presidential primaries, 19 of the top CEOs contributed to other Republican candidates, such as Sen. Marco Rubio and Gov. Jeb Bush. But when Trump locked up the nomination, those CEOs stopped pumping money into the race, according to a Wall Street Journal report. A total of 89 of the 100 top CEOs aren’t supporting either presidential nominee. Hillary Clinton is getting all of the remaining 11 CEOs, and Trump has scored a big fat zero. Even though Trump is well known in the business world and you would think he has more than a few friends, the reality is that his comments about Mexicans and Muslims have left many with deep pockets feeling cold toward him — or at least unwilling to be seen as supporting such comments.